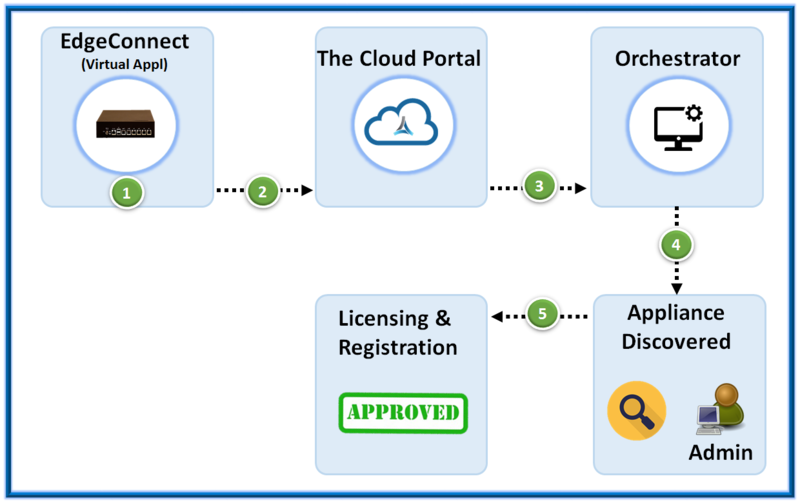 This document will share the chronological process of how EdgeConnect virtual appliance registration process with Cloud Portal and Orchestrator takes place. Configure the new Virtual device (VM). Additionally, Account name and Account key needs to be input. The IP is either manually configured or assigned via DHCP. The EdgeConnect virtual device registers itself with Cloud Portal and provides its Account key and Account name. Next, Cloud generates and assigns a SN (Serial Number) to the VM. Portal associates it with an account and Orchestrator portal puts device in “Pending” status. 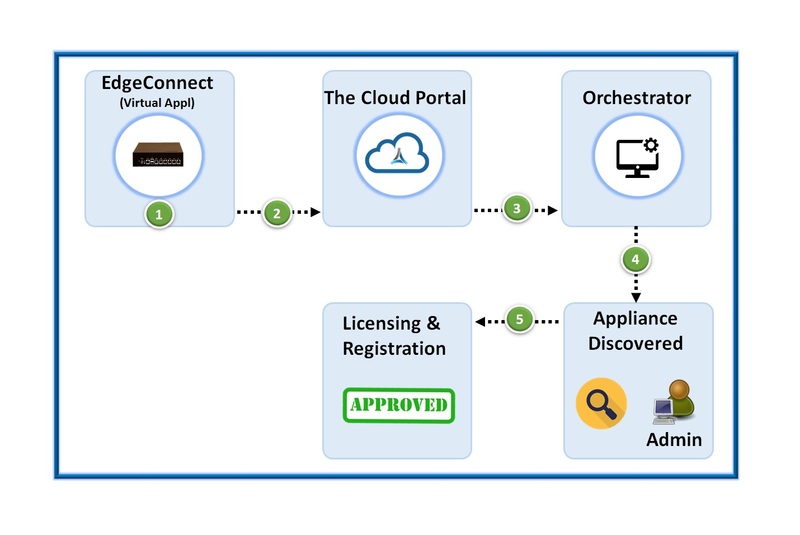 Next, Cloud Portal connects to the Orchestrator known IP and henceforth, provide it with IP and SN of the newly connected virtual Edge device. The respective administrator needs to approve the “registration” request in the Orchestrator and next adds it to the respective group. Once the admin approval is received, “Appliance Status” changes to “Yes”. Thus the final stage of EdgeConnect virtual device registration in concluded.